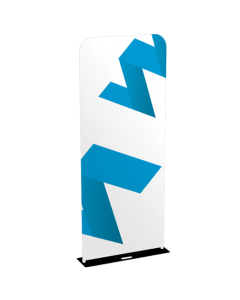 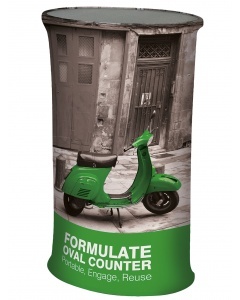 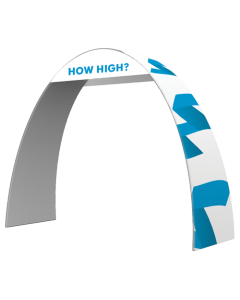 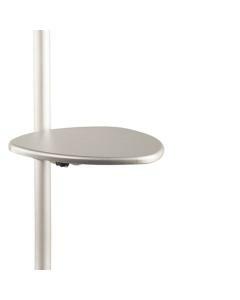 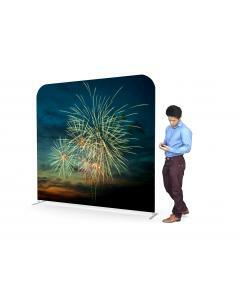 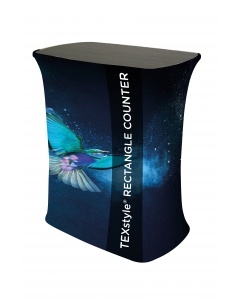 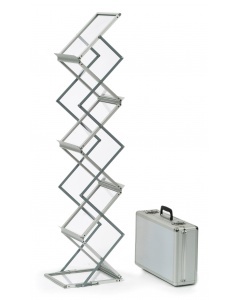 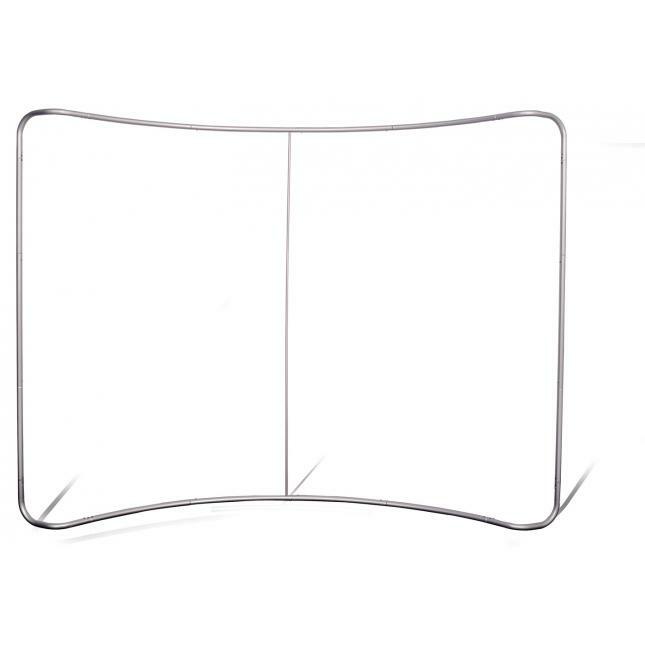 The Texstyle curved tension fabric exhibition stand is incredibly easy to assemble. 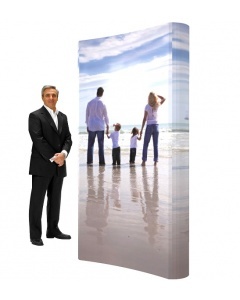 It can be put up in no time at all and by just one person. 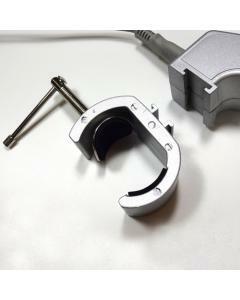 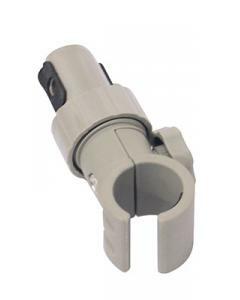 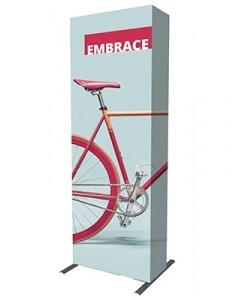 The lightweight aluminium tube frame simply connects together without the need for any tools. 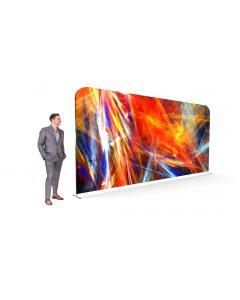 The tension fabric graphic is then slid over the top and zipped up underneath. 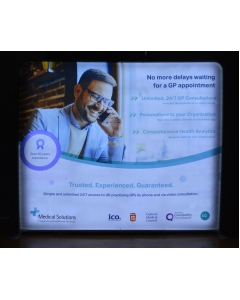 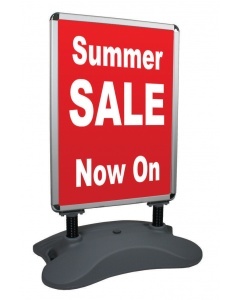 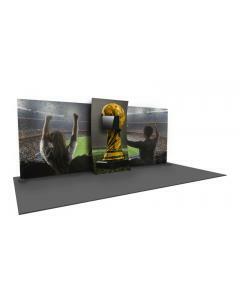 It is an extremely economical and high impact display that could be combined with one of our counters and a literature stand to create a complete exhibition stand. 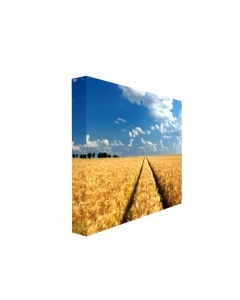 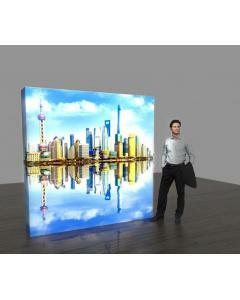 Alternatively it could be used to create a powerful backdrop. 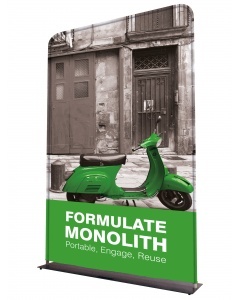 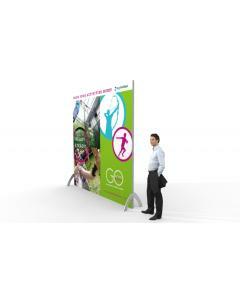 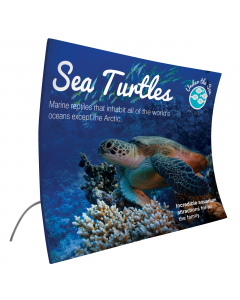 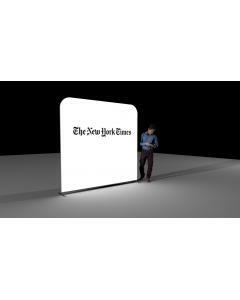 It is a great alternative to a pop up exhibition stand and can be used instead of shell scheme graphics. 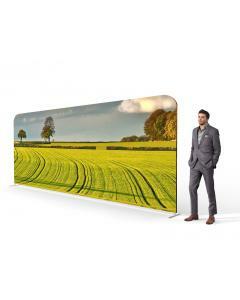 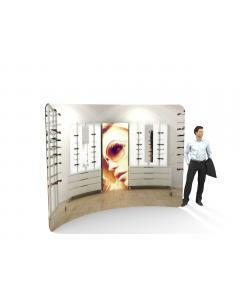 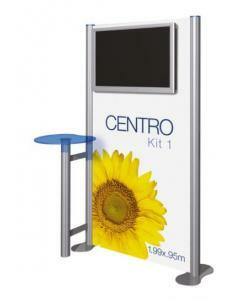 The Texstyle Curved Fabric Exhibition Stand measures 2280mm high and comes in five width sizes; 2.4m, 3m, 4m, 5m and 6m. 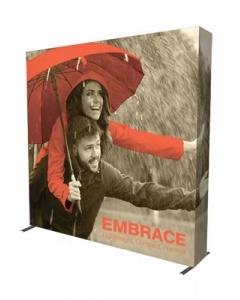 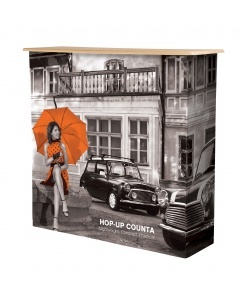 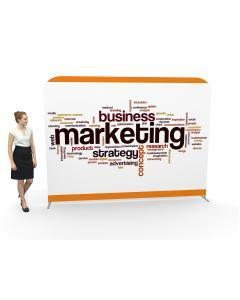 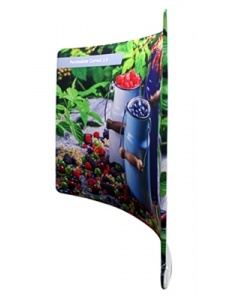 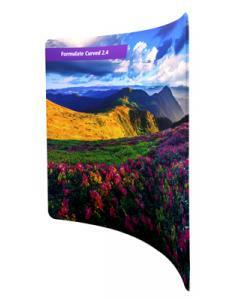 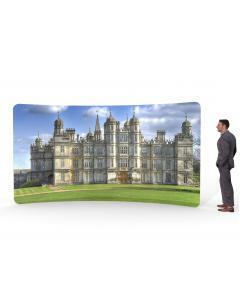 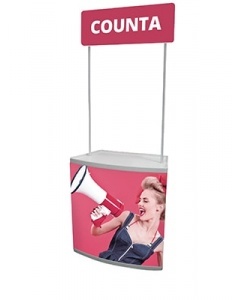 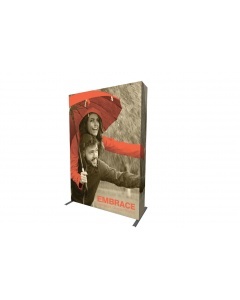 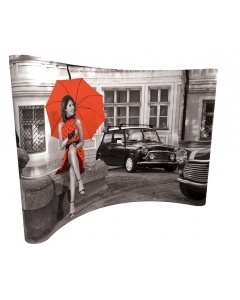 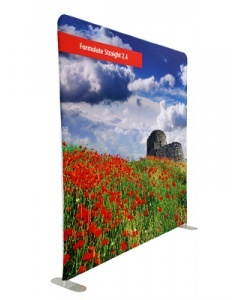 This fabric exhibition stand comes complete with fabric graphic sleeve. 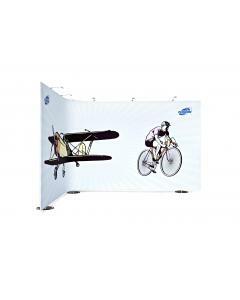 The fabric graphic not only creates a powerful and high impact display it is also extremely durable and is easy to store. 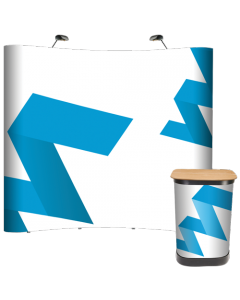 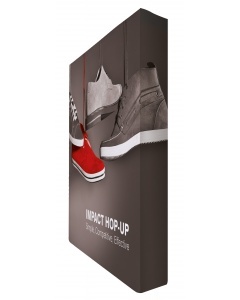 Unlike traditional media graphics you don't need to worry about creases. 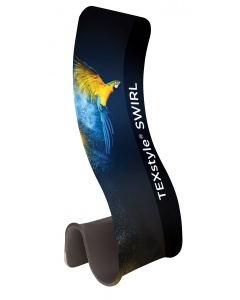 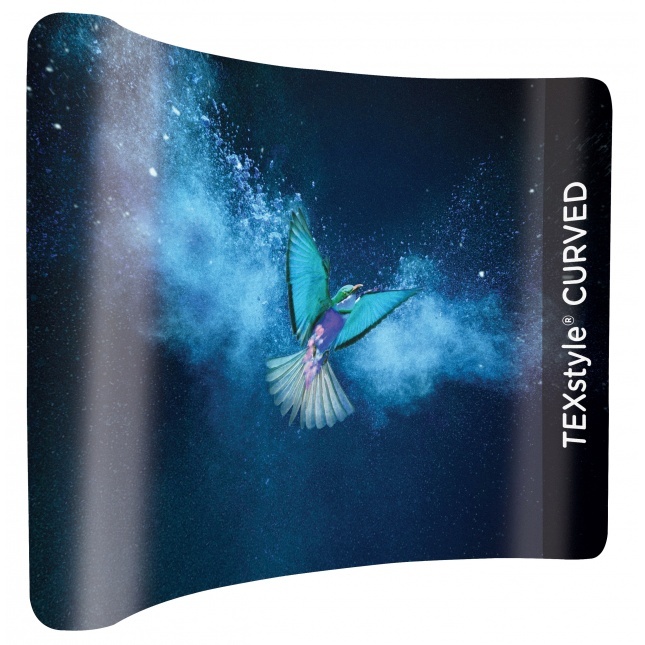 Why choose the Texstyle Curved Fabric Exhibition Stand? 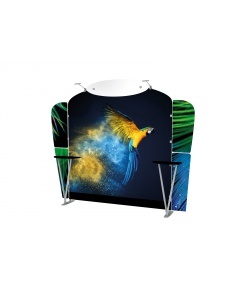 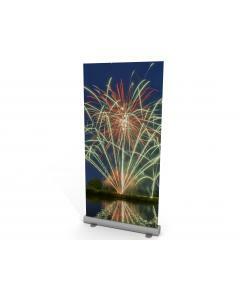 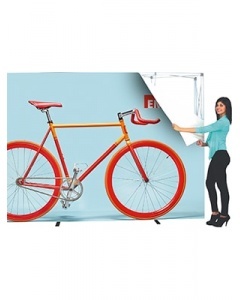 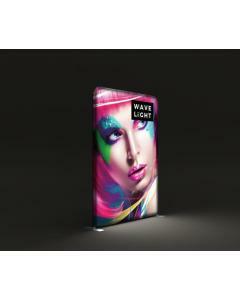 Material: Aluminium pole frame system and tension fabric graphic. 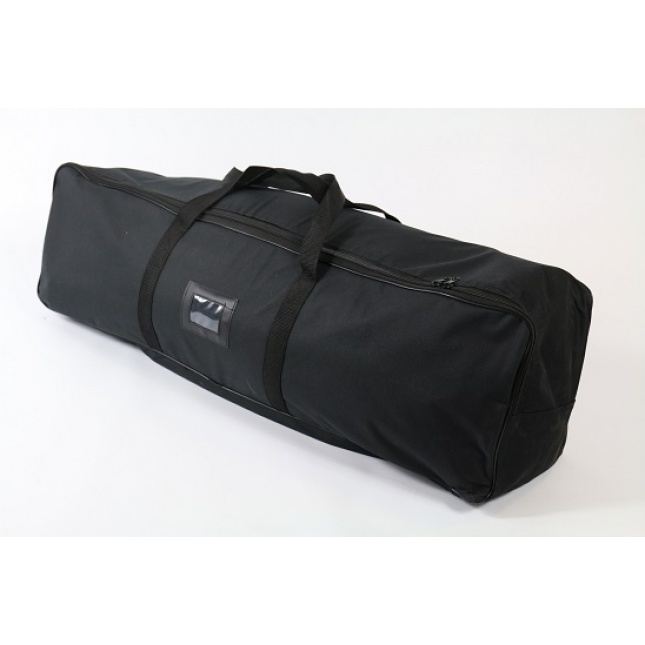 Bag: Supplied with a fabric carry case. 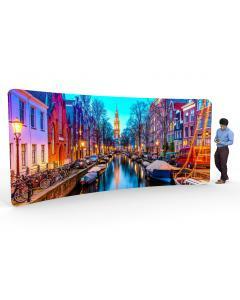 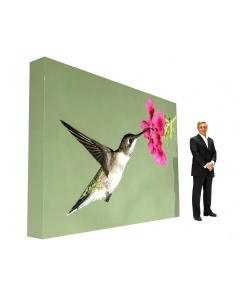 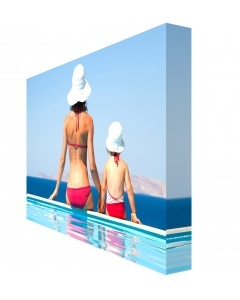 Graphic: Your artwork is printed on display polyester using the dye sublimation printing technique for a high quality print.